There’s a lot we don’t know about the Zika Virus. Every media outlet reporting on the pandemic that has ravaged the Americas over the last few months has made that abundantly clear. The World Health Organization (WHO)has said that it is extremely concerned about Zika. And yet, other columnists downplay the danger, arguing the virus is nothing like the Ebola virus that claimed the lives of more than 11,000 across West Africa in 2014. 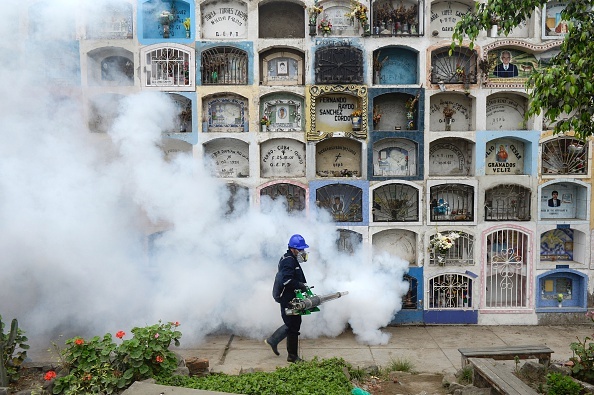 Still, coverage of Zika mirrors that of Ebola; calls to action become regional and patriarchal, where the developed world must come to the developing world’s rescue. This dynamic stifles global collective action and prevention efforts. It’s true. This is a different kind of epidemic. Zika is a mosquito-borne virus, not transmitted by fluids. The virus has a negligible mortality rate and usually causes mild flu-like symptoms. Rarely does it lead to hospitalization. Unlike the global health emergencies in recent memory—Ebola, swine flu, bird flu or SARS—Zika frightens us not because it kills its victims, but because it threatens the unborn.The regions affected by Zika are also witnessing a dramatic increase in microcephaly, a congenital birth defect that hinders brain development. Zika is thought to be a cause. Fear has driven South and Central American governments to discourage pregnancy until the outbreak is quelled. In El Salvador, policymakers warned women not to get pregnant for two years. Our fear of Zika is closely tied to our ignorance. We don’t know how common microcephaly is among women infected with Zika. We don’t know at what stage of pregnancy the baby remains at risk. We don’t know how long after contracting Zika a woman can safely get pregnant. And we don’t know the details of sexual transmission of the disease—there is some evidence but it appears rare. This perpetuates a paradigm of separation within global health pandemics and epidemics: the sick and dysfunctional developing world and the sterile developed world. This separation is ill founded. It also paints the developing world as an incubator of disease as a result of poor health infrastructure. And the developed world is the unsuspecting victim. The reality, of course, is pandemics and epidemics exploit the vulnerabilities of any system, no matter how robust, albeit to varying degrees. That’s what makes them so frightening in the first place. Labeling health emergencies as the problem of a country or particular region only perpetuates a false sense of security elsewhere and discourages global cooperation. Mosquitoes know no borders. And the Center for Disease Control’s (CDC) declaration of a Level 1 alert—the same as that during Ebola and H1N1—reflects concern that the virus will spread in the United States. Of the 35 domestic cases of Zika observed thus far, all have been travel related. But that is likely to change as average temperatures increase across the nation during the spring and summer months. For other regions, the danger may be less clear and present, but not outside the realm of possibility. According to the CDC, mosquitoes can spread the virus by biting a healthy individual after biting an infected individual. A traveler could contract the virus in an impacted country and bring it home to Europe, Asia, Africa or the Middle East. The Zika Virus is only the most recent of potential pandemics that threaten the global population. And even though the symptoms are in most cases not serious to the individual that contracts the virus, transmission during pregnancy is of concern. Each epidemic is a cry for help. They demand recognition as global issues, not regional ones. We should table the distinction between the developed and developing worlds in favor of global collaboration.